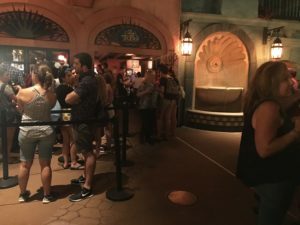 If you’ve been inside the Mexican Pavilion at Epcot, chances are you’ve seen a long line snaking along the right side of the building’s interior. No, that’s not the line for the Gran Fiesta Tour, the beloved dark ride featuring the Three Caballeros. Nor is it likely to be a line for the San Angel Inn, the table service restaurant inside the pyramid. No, that line is probably the line to get into La Cava del Tequila, the cozy tequila bar that features specialty margaritas and over 100 types of tequila. 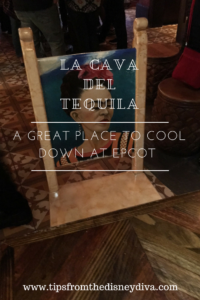 Opened in 2009, La Cava del Tequila is a perennial guest favorite, especially with those who like to participate in any of the “Drinking Around the World Showcase” type activities. This is the line for take away drinks and the bar, not for sitting inside. If you want to sample one of La Cava’s del Tequila delicious drinks, don’t be put off by the long line – 99% of the time, the line is for those guests wanting to do tequila shots at the bar or wanting to get “to go” versions of the venue’s famous drinks. 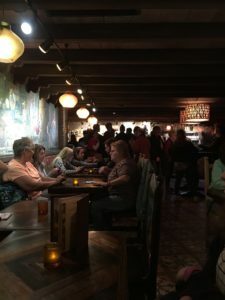 Instead of automatically getting in the line, first go up and talk to one of the cast members stationed at the front of the bar. The dark and intimate interior of La Cava del Tequila. e’ve even gone as a party of 10 with kids and my mom! )You can wait for the table right outside the front of the lounge (there’s a bench). Sometimes I let my husband wait while I take a look at the wares for sale at the nearby marketplace. 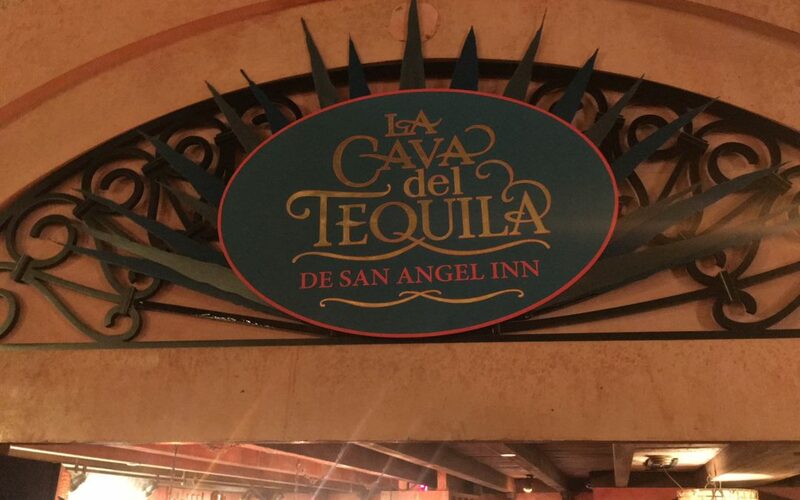 Tip: La Cava del Tequila opens at noon, and the sooner you get there the easier it is to get a table. If you want to sit inside, skip the long line for the bar and go directly to a cast member who will put your name on the waiting list. 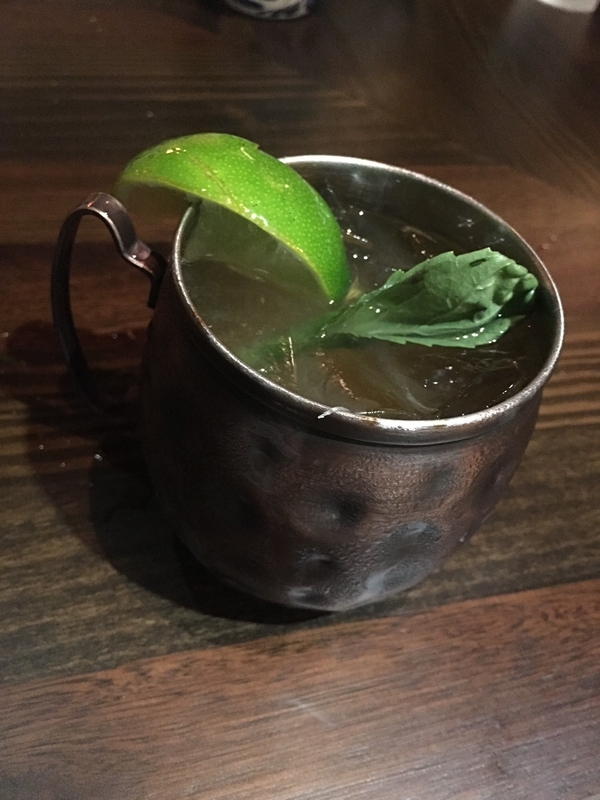 As mentioned before, the bar specializes in tequila and margaritas, but also features a very small food menu. We inevitably get the Trio Combo, which is guacamole, salsa, and queso served with tortilla chips. The price at $17 is a bit steep, but it’s actually quite filling. 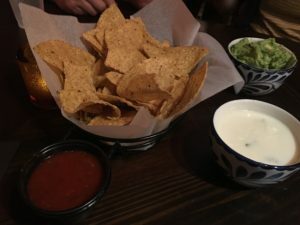 If you order the Trio (or any of its components), they will bring you more chips for free if you ask. On to the drinks…over our visits here, we have sampled most of the margaritas and a few of the mixed drinks. Our favorites are probably the Blood Orange Margarita, which is Tequila, Orange Liqueur and earthy Sweet-Tart Mix of Blood Orange Juice topped with Wild Berry Foam served on the Rocks with Tajín Chili Powder Rim ($13.50); the Cucumber Margarita, Tequila Altos Reposado, Mezcal Gracias a Dios Espadin Blanco, Caramelized Pineapple Juice, Basil and Cucumber served on the Rocks with Tajín Chili Powder Rim ($15.00); and the Jalapeño Margarita, Tequila Altos Reposado, Mezcal Gracias a Dios Espadin Blanco, Caramelized Pineapple Juice, Basil and Cucumber served on the Rocks with Tajín Chili Powder Rim ($15.00), but we have friends who love the La Cava Avocado Margarita. Tip: If you want to take one of the drinks to go, ask your server and they will give it to you in a plastic cup so you can enjoy it while you stroll around the World Showcase. My favorite mixed drink, one I’ve tried to replicate at home, is the Mexican Mule, Ancho Reyes Liqueur, Mezcal Zignum Reposado, fresh Lime Juice, Ginger Beer and Mole Bitters ($14.00). 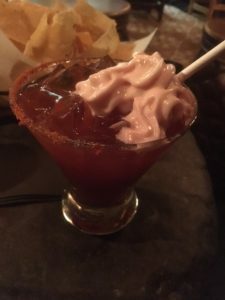 The same mixologists are responsible for the margarita stand that recently opened outside the pyramid, Choza de Margarita, but do note that they feature just a few varieties and they are different drinks than inside. La Cava del Tequila opens at noon and closes when the park closes. They don’t accept the Disney Dining Plan or Tables in Wonderland. 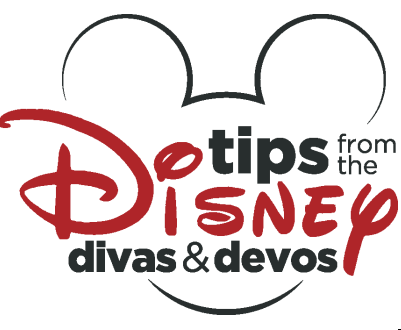 Want to visit Epcot and the Walt Disney World Resort? Would you like FREE help planning your vacation? Contact Patricia at All for Dreams Travel!